I think Alicia Keys said it best when she said "If I want to be alone, some place I can write, I can read, I can pray, I can cry, I can do whatever I want - I go to the bathroom." This weeks Etsy Finds is all about the most under appreciated room in the house- The bathroom. 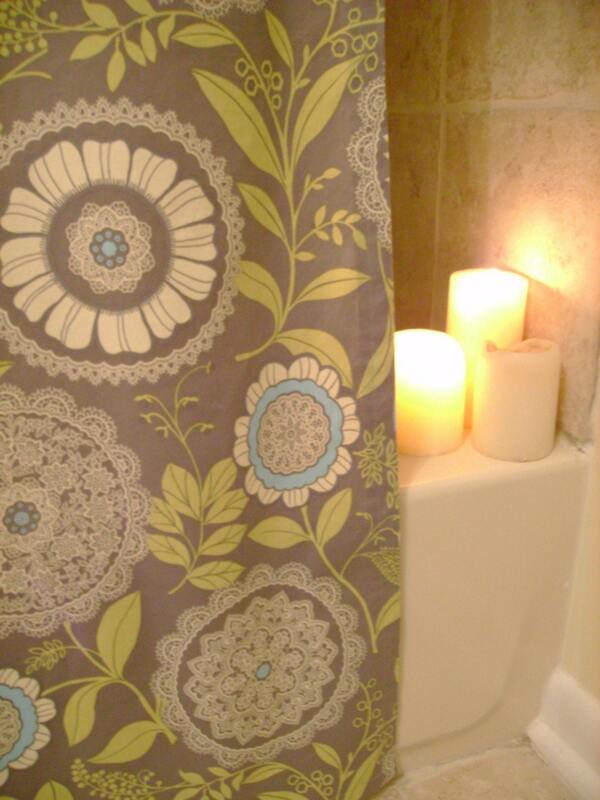 This beautiful handmade shower curtain is made from Amy Butler's Lotus collection. Top portion is wallflower in sky, middle strip is full moon dot in slate and the bottom portion is Lacework in Grey. Measures approx. 72x72, 100% cotton and requires a liner to be used with it. Proportion of design may vary slightly. This little dish was made to cradle your favorite bar of soap. The ridges were designed to allow water to settle and not make your handmade soaps too soggy to use. I am addicted to all of the lovely soaps found here on Etsy so of course I needed a handmade ceramic tray to hold them! This one is glazed in Midnight Sea which is a blue glaze that has an olive undertone. 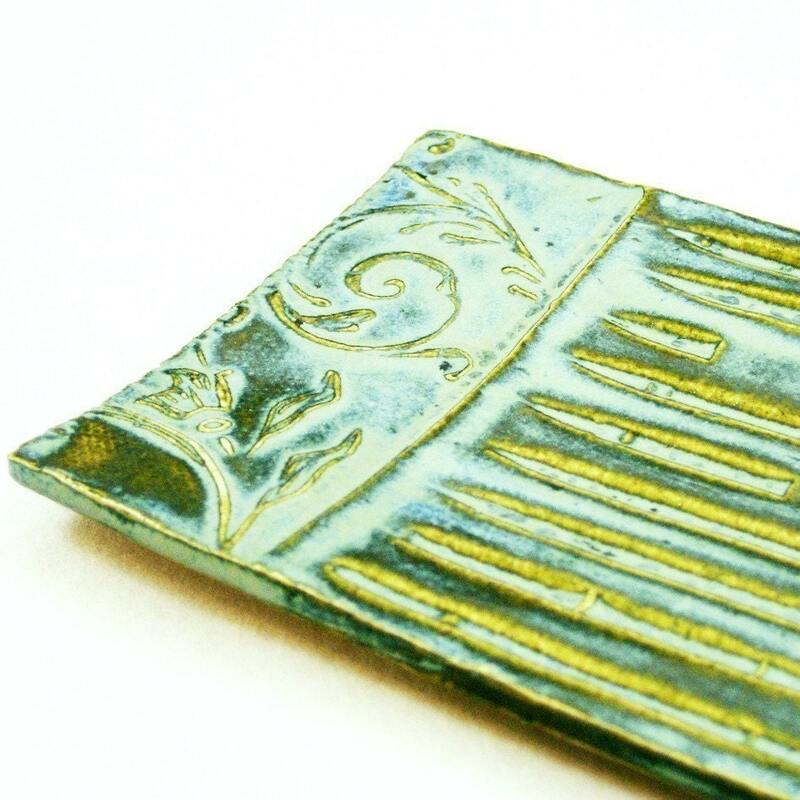 The textures were designed carved and stamped into the clay while it was still wet. The dish has slight curve as well, to hold the soap better. 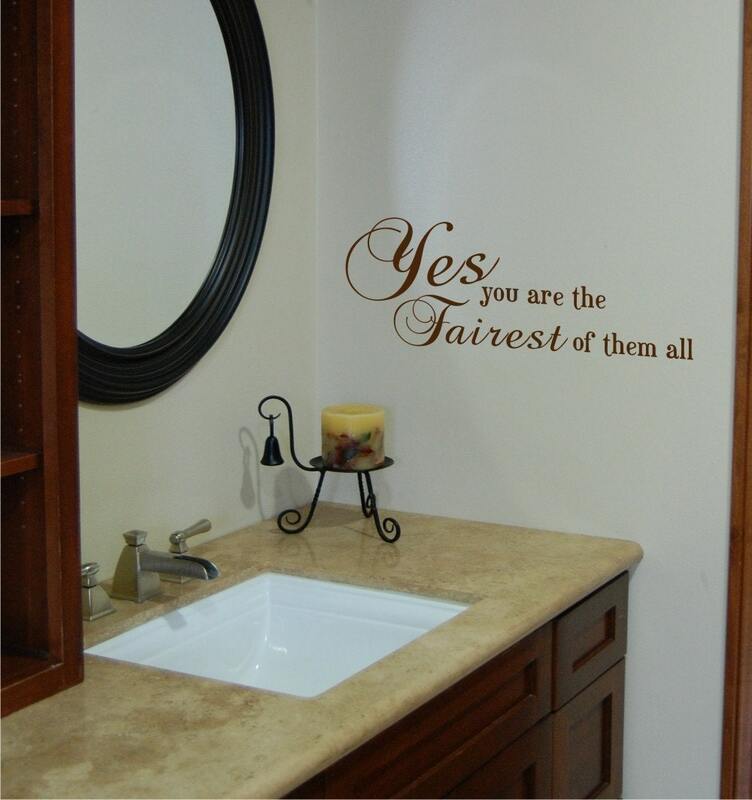 This decal measures 21" X 8" and comesin the color of your choice (see color palette). Our vinyl designs can be applied to most clean, flat, smooth surfaces and can easily be removed (not re-used) whenever needed. Our vinyl has a matte finish for that hand painted look. Please specify color choice in notes section of your checkout. If no color is specified, your decal will be shipped in matte black. Any of our decal sizes can be adjusted to fit your needs. They also can be mirrored (facing the opposite direction), just specify requests upon checkout. 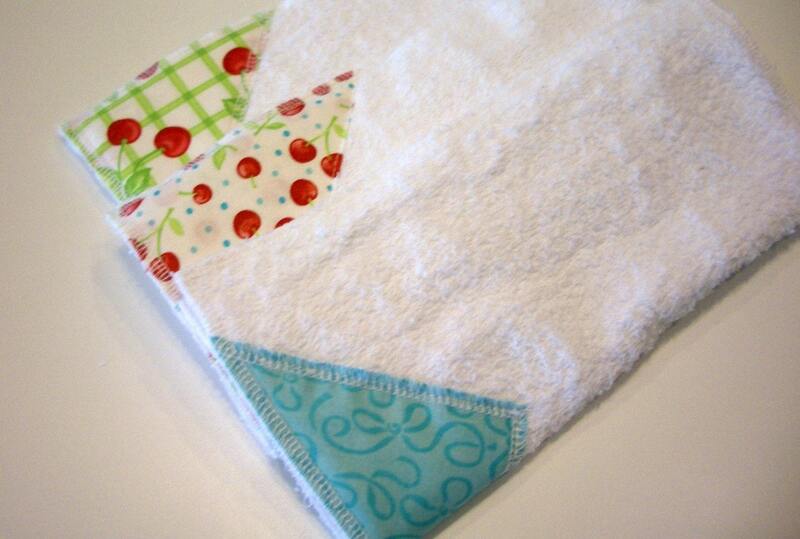 Great for in the kitchen, bathroom, trailer or wherever a wash cloth may be in need! These are perfect for ideal usage, and great style. These are also great for gifts! I love them!! Can i still order the lacework shower curtain. We were flooded out of our home in may and are in the middle of trying to replace some things we lost.